Still Motion | Just Shooting Memories! This past winter, we had no snow. 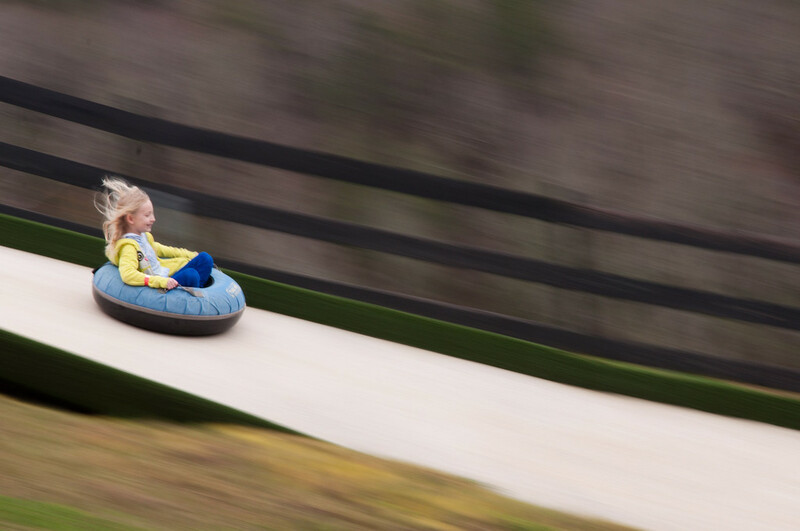 That normal lack of snow in the south hasn’t stopped the folks over at the Cherokee Valley Ranch from going sledding. They came up with an ingenious use of carpet and inner tubes. Although the run is short, the fun is everlasting. I decided I needed to capture the speed that these things were flying down the hill. I slowed the shutter down just a little and panned. Works like a charm every time.